Find out why the fashion expert chose the darkly humorous memoir The Woo-Woo as the one book all of Canada should read. Joe Zee is a fashion expert who is currently a judge on the television show Stitched in Canada. He has been seen on television shows — including, ABC's Good Morning America and their annual Oscars pre-show, NBC's Today, CNN and The Oprah Winfrey Show — and is the former creative director of Elle magazine. 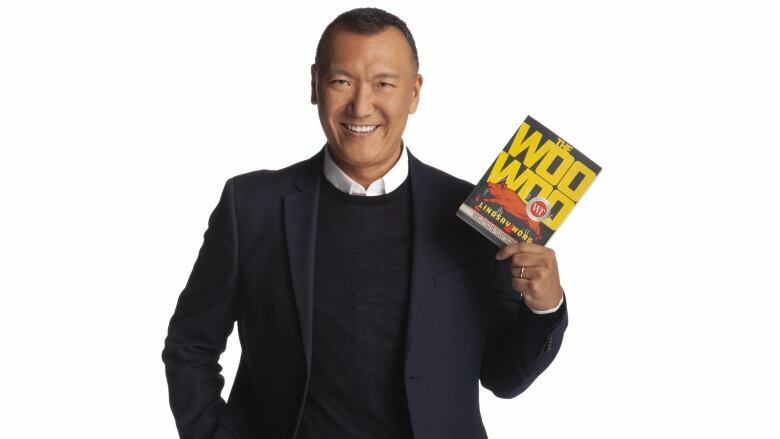 He is also a Canada Reads 2019 panellist, defending Lindsay Wong's memoir The-Woo-Woo. The debates take place March 25-28, 2019. They will air on CBC Radio One at 11 a.m. (1 p.m. AT/1:30 p.m. NT), on CBC at 4 p.m. (4:30 NT), be live streamed online at CBC Books at 11 a.m. ET and will be available on the free CBC Gem streaming service. "It was heartbreakingly raw. Lindsay laid it all out on the pages of her book. Her upbringing and her childhood were so devastatingly unreal, to a point that fiction would be unbelievable. Her father would call her garbage and say she was found in a dumpster. Her mother would try to set her foot on fire. Or that her aunt would stand on a bridge in Vancouver and hold the city captive on Canada Day, threatening suicide. Lindsay Wong's darkly comedic memoir will break your heart. "She wrote all of those stories and more with the armour of humour. I read all of those stories in her book and I laughed. And then I felt guilty for laughing. I told Lindsay all of this, and she said, 'If I couldn't laugh, I couldn't do this.'" "I feel like I'm going crazy. And sometimes I feel like I am the sanest person in the room. Mental health affects us all and if we don't talk about it, especially in my Asian culture, well, it might just go away. And that, my friends, is the heart of The Woo-Woo. "Lindsay Wong's darkly comedic memoir will break your heart. I lived her words and her shame dealing with her Chinese Canadian family's grapple with mental health, their dark days explained away as a superstition beyond their control." But it isn't just an Asian story. It isn't just a mental health story. It's a story about trying to fit in. "But it isn't just an Asian story. It isn't just a mental health story. It's a story about trying to fit in. It's a story about not knowing what's going on. It's a story about really feeling like a loner and walking around in a sea of ghosts." Joe Zee's comments have been edited for length and clarity.